In the late 1880s a branch railway was constructed from Banteer on the main Mallow-Killarney line to Kanturk and Newmarket, in north county Cork. Like many of the railways in the county, it was closed in the 1960s, and the building subsequently became part of a factory, which has also since closed. 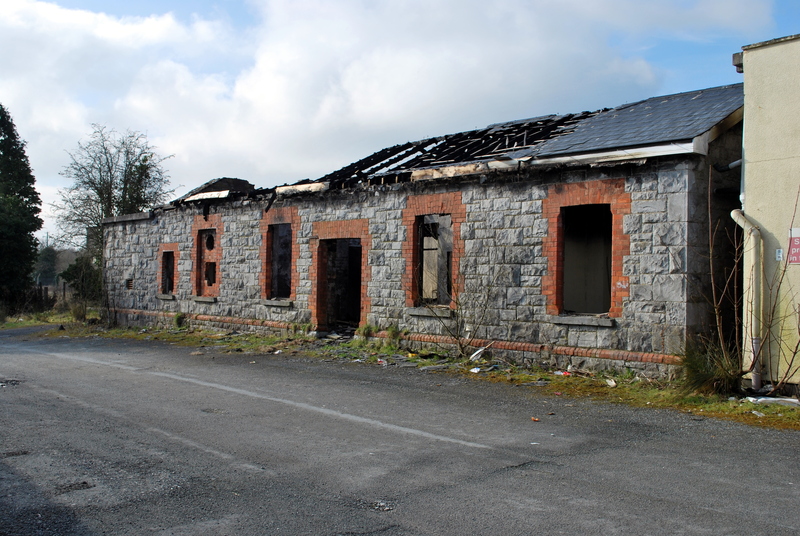 Photographs from 2006 by Ciaran Cooney suggest the original station building was then derelict and boarded up, but otherwise intact. 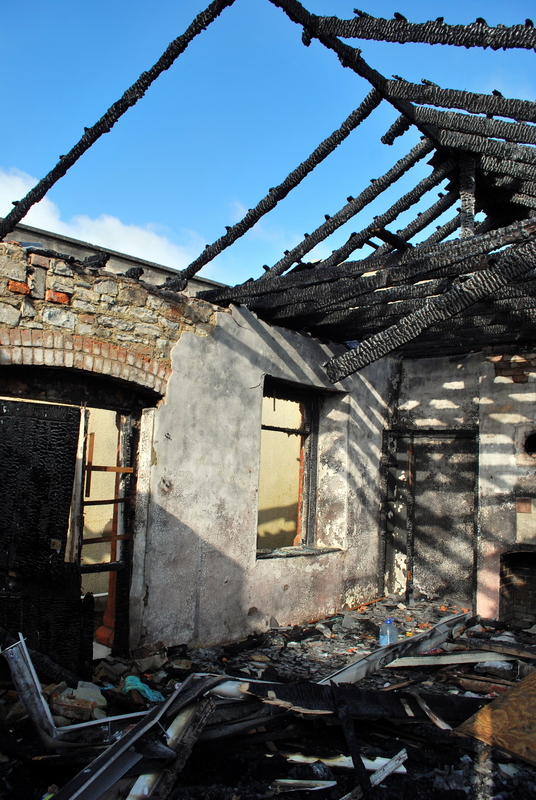 The scene in March 2013, below, is more depressing, especially considering Kanturk is otherwise such a beautiful town with many important historic buildings, and an active local community. Here is the map link.